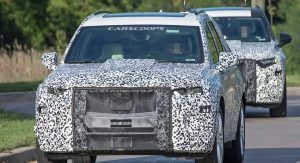 Back in April, when we first spotted Cadillac’s upcoming three-row crossover during testing, the prototype featured heavy padding over the rear-side windows and the C- and D-pillars. Even the tailgate window had foil on it. 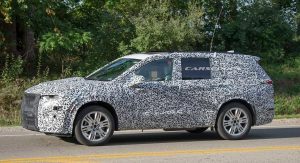 Fortunately, the Cadillac XT6 has ditched that padding for tight-fitting camo and now features a clean rear window as well. This allows us a clearer look at the way the rear-side design is coming along. 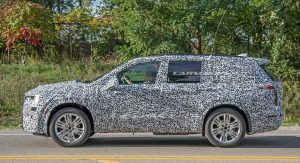 The third side windows are quite big, but they need to be if Cadillac wants third-row passengers to be comfortable. The rear doors are chunky as well to allow good access to the third-row. Both the C- and D-pillars are forward leaning, but the D-pillars are more inclined towards the front. 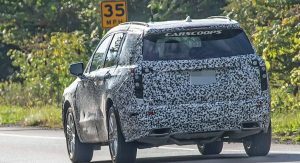 That gives the XT6 a dynamic look, as does the roofline which starts to descend towards the rear as it passes the C-pillars. We can also spot a sizable roof spoiler which serves two purposes: it increases downforce at high speeds and houses the wiper. Seen from the side, the XT6 seems very large. 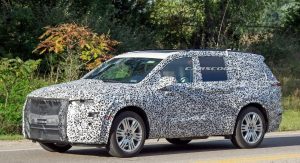 It’s clearly longer than the XT5 but it’s not expected to be quite as long as the Chevrolet Traverse and Buick Enclave platform brothers. 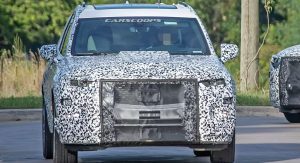 The front end has a bit less camouflage too, which means we can better guess the design of the front bumper and grille hiding under the front fascia mesh. 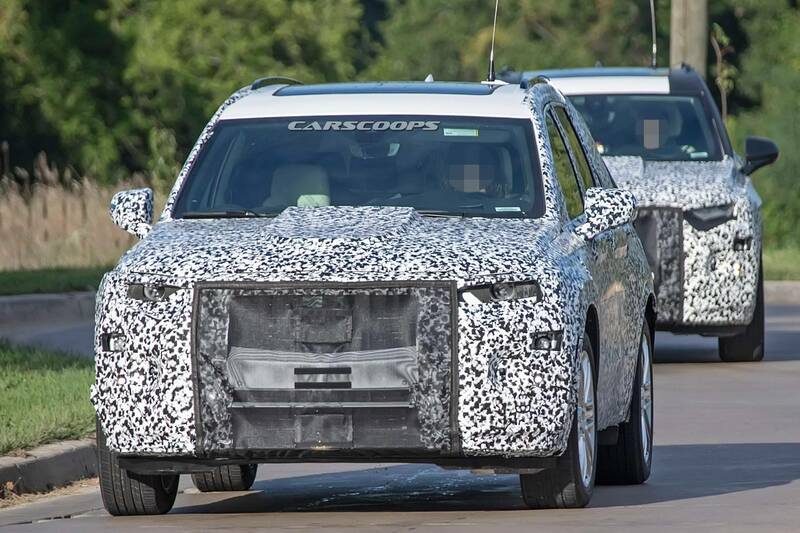 As for the headlights, while they appear to be more horizontal than on the CT6 and XT4, they’re still attached to Cadillac’s signature vertical lighting treatment. The tiny lights shining from under the camouflage in the lower part of the bumper certainly seem to suggest that. 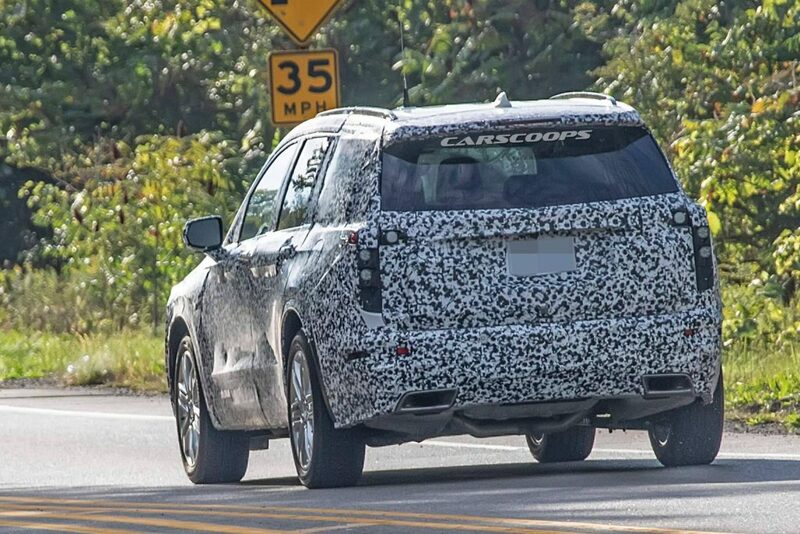 Finally, the rear end features a massive glass and vertical taillights that seem to extend horizontally to both sides at the top — unless Cadillac is playing a trick on us viewers and disguises the taillamps’ shape. 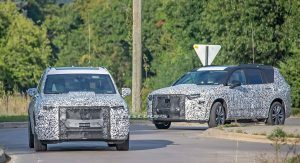 Since it will share the long-wheelbase version of the C1XX architecture with the Traverse and Enclave, the XT6 is expected to offer a similar standard engine. Both the Enclave and Traverse are powered by a 3.6-liter V6 that produces 310 hp (231 kW / 314 PS) and 271 lb-ft (367 Nm) of torque. 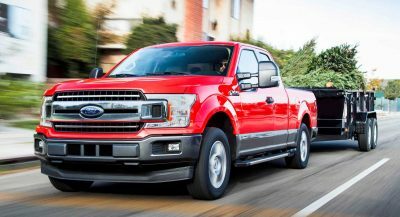 The unit is linked to a nine-speed automatic transmission that can be paired to an optional all-wheel-drive system. Rumor has it a turbocharged version and a plug-in hybrid are also in the cards. 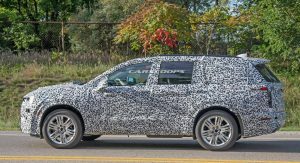 According to recent reports, the Cadillac XT6 might debut at the 2019 Detroit Auto Show. 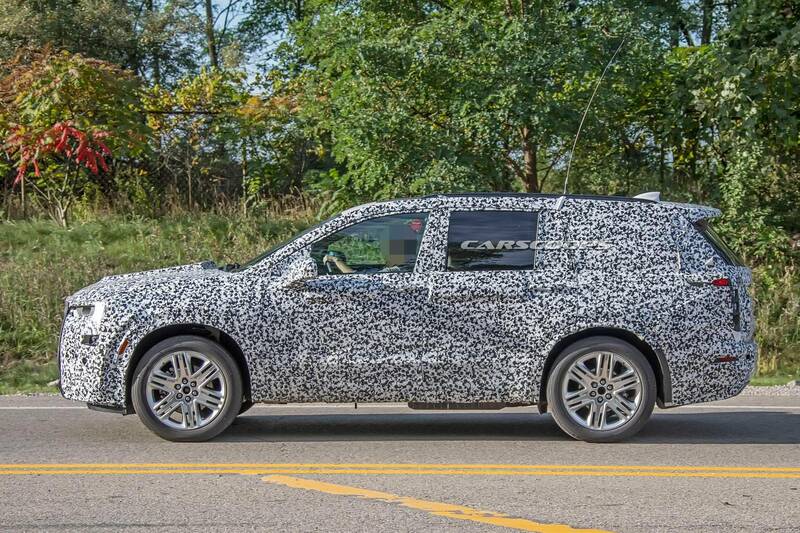 The sooner the better, given that there’s a huge gap between the XT5 and Escalade that GM needs to fill. I think it will look good, but I also think the Aviator will be the better vehicle. Can’t agree more. Lincoln is really hustling while Cadillac is playing also ran. I wanted this to be my next car, I think the profile looks nice (XC90/Q7-esque) but the prospect of it being FWD and an electrified RWD Aviator competitor around the corner might make me jump ship from GM/Cadillac. Get accustomed to it,it is only going to get worse. 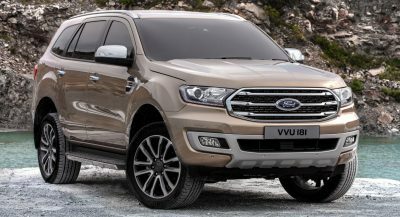 Market demand is driving the surge..
tell huinday/kia there are too many suv’s out there…. Today is No Trolling Day! okay, CS, do your thing! make a render of this, please! Unless this gets a truly bespoke interior with different materials, different engines, and much better driving dynamics, this is stupid. Hoping to see GM finally break the trend of badge engineering, but not much hope left. It seems to be mostly what they have perfected. 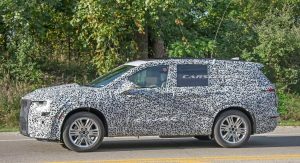 I am all for modular applications, but the whole same car in different flavors doesn’t work that well, and considering Cadillac current aspirations to outprice all of its competitors; why would one purchase this over the Buick Enclave Avenir. The Cadillac crest doesn’t hold enough polish or distinction to command a price premium for the same product. 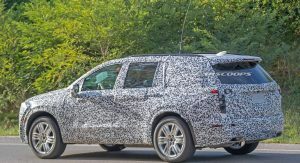 Also, what’s really annoying about this is that GM has a good platform to use and capitalize on, its alpha platform, which could assuredly accommodate an SUV. 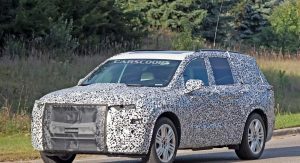 Why not just bloat the already bloated SRX into this, and give us a true competitor that rides and handles well, and doesn’t fall all over itself against the Q5, X3, and GLC. I guess you could ask the same question of Volkswagen,Audi,Seat, and Skoda. 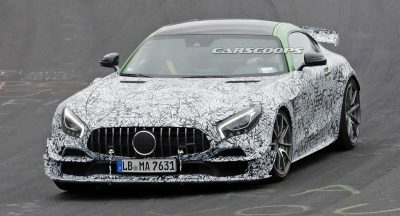 Not really, because the set up in all the cars are different, they have different designs, different trims, different materials, different drivetrains, different AWD in different segments. Don’t troll. They are the definition of doing modular platforms correctly. You sit in GM cars and they barely change the icons on the same infotainment system to make anything exclusive, the engines are the same, the awd is the same, the chassis tuning is the same. GM needs to just pair its entire portfolio so it doesn’t cannibalize itself. As you must have not been in many GM products to see my perspective. You sit in VAG cars and they barely change the icons on the infotainment system to make anything exclusive, the engines are the same, the awd is the same, the chassis tuning is the same. You know not of what you speak Volkswagen does the exact thing,it is called platform sharing to cut down cost. Cadillac,Buick and Chevrolet also has different designs,materials,different trims,and in some cases different drivetrains! You are the one who is trolling here betternot357! Puhlease. I have worked for both umbrellas. GM is still old GM new face. VW actually does more to distinguish itself. Not saying they are perfect, neither are, but in the grand scheme of things, there is far little to distinguish GM cars besides their brand. I fear this will probably get worse as Opel is unloaded and Buick loses some of those platforms. GM also has not done as good of a job elevating its upper crest trims like Avenir and Denali. They offer higher than average incentives, and their residual values are subpar. 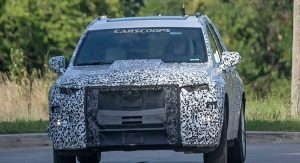 The biggest badge engineering GM has right now is the large SUV’s, everything else distinguish it selves really well now a days. Yes they share platforms but each one has a different feel. 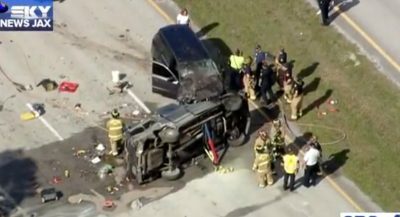 Not just its large SUV’s, its all the SUVs. 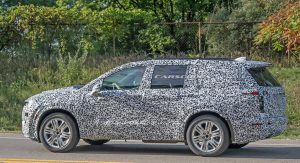 The Acadia and Enclave may have different sizes, but same engine, same driving dynamics, same infotainment except for slightly different graphics, and same plastic touch points. Sat in the Avenir and was pretty disappointed with some of the choice of materials at the price point. Same goes for most of the Denali lines showing up. GM needs to really up their interior game to command pricing at some of their price points. They know it too. They offer a ton of incentives to move cars. YAAAWN. Another boring looking car from Cadillac. And it looks FWD so no thanks. It looks very clumsy looking like the out of date Infiniti QX60, narrow, long and with a massive front overhang. Looks great so far! 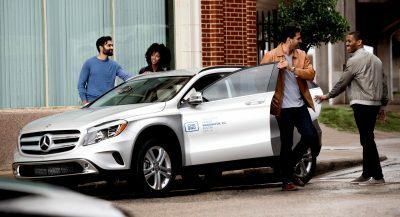 Hopefully it’ll deliver what it promises and I’ll gladly trade in my MDX for one of these!